A warm, zipped Behemoth 'The Wolfling Ov Siberia' hoodie with pockets for kids. On the front 'The Unholy Trinity' sigil print, on the back - 'The Wolfling Ov Siberia'. 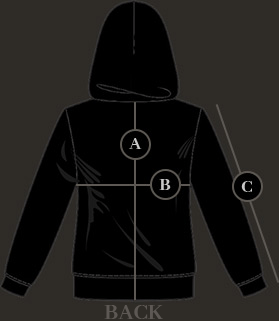 The hoodie is black with a honey colour hood inside. The hoodie is of Premium Quality, it has been made in Poland especially for Behemoth and its quality and durability is far much better than most of the other hoodies present on the market.